Narendra Modi, the right-wing, pro-Hindu nationalist Indian politician and chief of the conservative Bharatiya Janata Party (BJP), and the man who polls suggest will become the next prime minister of the world's most populous democracy, has long courted political and trade links with the state of Israel. Modi's ties to Israel, which BJP officials strongly endorse, has turned into a financial bonanza for the western Indian province of Gujarat, where he has served as chief minister for the past 13 years. One of the wealthiest and most industrialized states in India, Gujarat serves as a kind of crown jewel of Modi's campaign, which calls for a resurgence of the nation's overall moribund economy. Under Modi's leadership and encouragement, Israel has poured billions of dollars of investment into Gujarat. Officials from both Gujarat and Israel have visited each other over the past few years to deepen trade and economic links. Ongoing mutual endeavors include projects in industrial research and development, solar and thermal power, pharmaceuticals, infrastructure, water recycling and water desalination plants. For example, late last year, India entered into agreements with two consortia including Israel's Tower Semiconductor Ltd. (NASDAQ: TSEM), also known as "TowerJazz," IBM Corp. (NYSE: IBM), Silterra Malaysia Sdn. Bhd. of Malaysia and STMicroelectronics NV (NYSE: STM) of Switzerland, for the construction of two semiconductor fabrication plants in India, one near New Delhi, the other in Gujarat, at a total cost of some 634.1 billion rupees ($10.4 billion). India not only generates investment dollars from these deals, but also reduces its dependence on having to import chips. To attract foreign chipmakers, the Indian government has offered tax breaks, a 25 percent subsidy on capital spending and interest-free loans of about 51.2 billion rupees for each plant. Medianama reported the two plants will create 22,000 jobs. FirstPost noted that India's consumption of semiconductor products is projected to skyrocket from $7 billion this year to $55 billion by 2020, meaning many more such fabrication plants will be required. But this is only one small part of Israel's ambitious investment plans for India and, in particular, Gujarat state. Israel National News reported that the Jewish State seeks to found an industrial development fund with Gujarat, citing comments made on Indian television by Israel's consul general in Mumbai, Jonathan Miller. "Gujarat is a business-oriented state and this [memorandum of understanding] will help both Israeli and Gujarat-based companies in developing and strengthening the industrial relationship,” Miller said. "Our focus is on increasing research ties with Gujarat. Israel is keen to increase research and development (R&D) and cultural ties with Gujarat.” Miller added that he also wants India and Israel to sign a free-trade agreement. As for Modi, the controversial chief minister of Gujarat was long treated as a pariah by Western Europe and the U.S. for his alleged involvement in communal riots in his state in 2002 between Hindus and Muslims, which killed at least 1,200 people. Although he was absolved of any complicity in those massacres by a panel of India's Supreme Court in 2012, Modi remains an extremely polarizing figure. Alas, during his years in the wilderness, Modi was forced to look elsewhere for trade deals -- namely the affluent and powerful non-western democracies of Japan and Israel. Indeed, in January 2013, Modi personally hosted the Israeli ambassador to India Alon Ushpiz in Gujarat to discuss deepening trade ties. But long before Modi appeared on the scene, right-wing and Hindu nationalist figures have praised and supported Israel. Several prominent Hindu figures, including Vinayak Damodar Savarkar, Sita Ram Goel, Arun Shourie, among others, have explicitly condemned anti-Semitism and endorsed the formation of Israel. India recognized Israel as long ago as 1950 -- but the relationship has complicated India's links with the Arab and Muslim world. As a result, India has taken a delicate stance with Israel, rarely ever making any provocative statements regarding the endless intrigues in the Middle East. Indeed, India is dependent on oil from Iran and Saudi Arabia and has sent millions of migrants to work in the Middle East since the 1970s oil boom (providing India with much-needed cash remittances). But there have been many bumps along the way. In the 1920s, when Indian nationalists agitated for independence from Great Britain, they allied themselves with the Palestinians and strongly opposed Western/Zionist plans to form a Jewish state. Interestingly, the two most famous Indians of the 20th century differed on their views of Israel. Mahatma Gandhi was opposed to the creation of Israel since he did not think a country should be based on religion (paralleling his opposition to the partitioning of the Indian subcontinent into Hindu India and Muslim Pakistan). However, India's first Prime Minister Jawaharlal Nehru strongly supported the creation of Israel and was close to several prominent Israelis, including David Ben Gurion, the country’s first prime minister. In 1947, as India had been cut into two countries (India and Pakistan), the "new India" nonetheless voted against the partition of Palestine at the U.N. General Assembly. India finally recognized Israel in 1950, but remained politically in the camp of Muslim Arab countries who demanded a state for Palestinians. It really wasn’t until 1991-1992 that Israel and India started developing deep diplomatic and trade ties. India has had many good reasons to side against Israel: It had to appease its huge Muslim minority; the country feared that the Arab nations would favor Muslim Pakistan over India in various geo-political affairs (particularly the territorial rights to Kashmir); and, perhaps most importantly, its heavy dependence on Arab/Iranian oil and gas. Michael Kugelman PhD, an expert in South Asian affairs at the Woodrow Wilson International Center for Scholars in Washington, D.C., commented that India's relations with Israel have been quite strong in recent years, and Modi in power would simply strengthen this relationship even more. 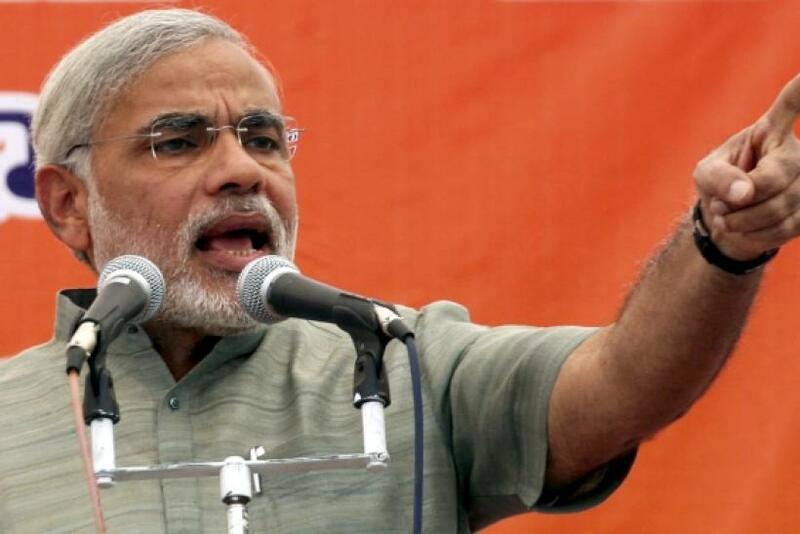 Should Pakistan Fear A Victory In India By BJP Chief Modi?